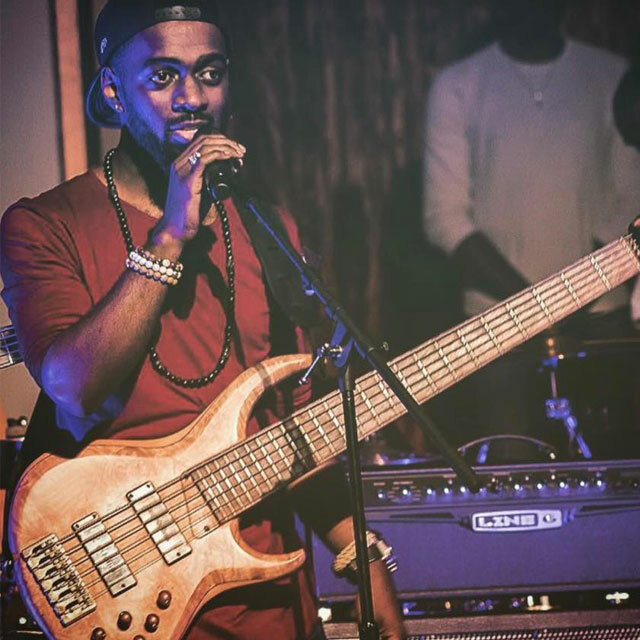 "I’ve been using Bartolini pups since I started playing bass and they have never failed me. They’re reliable, quiet, and versatile for any genre that I’m playing!" I’m a bassist from Columbus, Mississippi now residing in San Antonio, Texas. I watched and admired my dad play bass growing up and was very eager to learn the ways of the bass. I’m currently endorsed with MTD guitars, 64 Audio and Optima Strings. I’ve played for many artists such as Travis Greene, James Fortune, Jonathan McReynolds, Shana Wilson, Myron Butler, Marvin Sapp, Trent Cory, Willie Moore Jr., Myron Williams, Gary Mayes, Chris Coleman to name a few. I’ve recorded for artists such as Keri Watt, John Philip, Demond Reed, Cristabel Clack, Whittney Jackson and The Levites to name a few. I’m currently the bassist for Lucia Parker.